The NS800 Nucleus Cleaning Trolley is a three tray flat mopping system, featuring a 120ltr waste sack, 1x 15ltr bucket, 1x 25ltr bucket, 4x 6ltr buckets and one large Ringo gear operated wringer. The trolley also features rubberised swivel casters. 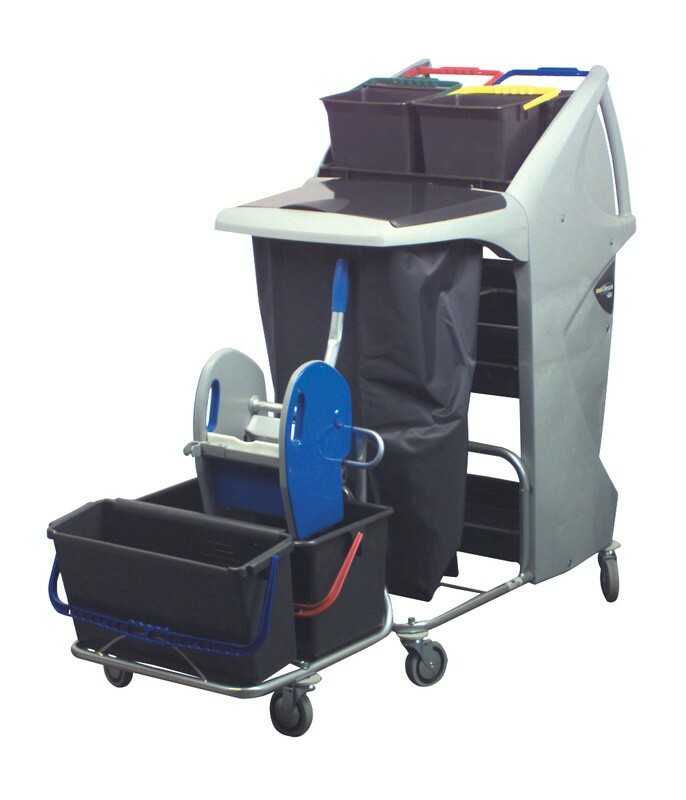 This is the ultimate cleaners trolley, ideal for use in schools, nursing homes, executive office blocks, large hotels and hospitals, featuring various buckets and holders the trolley can hold various cleaning chemicals, cloths, dusters, mops, everything a caretaker or facilities manager will ever need. Length - 1392mm (55") Width - 603mm (24") Height - 1200mm (47"). 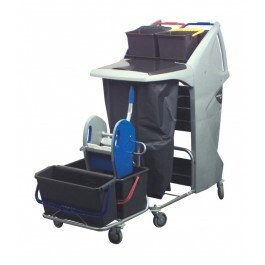 Premium cleaning trolley, ideal for use in a variety of environments.